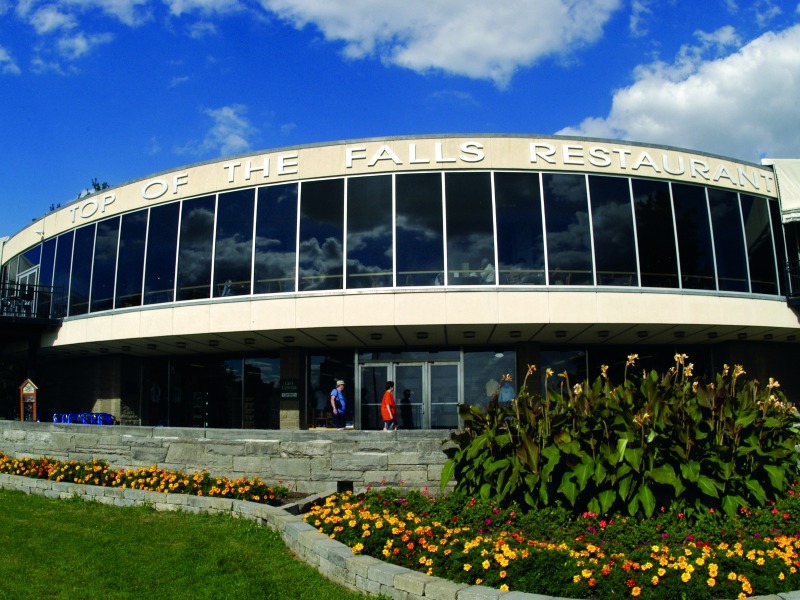 As the only restaurant overlooking Niagara Falls, Top of the Falls Restaurant offers visitors to Niagara Falls State Park a one-of-a-kind dining experience. The Top of the Falls menu offers modern American cuisine and classic dishes, and every dish is accompanied by spectacular waterfall views. The venue, located within Niagara Falls State Park on Goat Island, overlooks Terrapin Point and features panoramic views of Horseshoe Falls through floor-to-ceiling windows and outdoor dining decks. Tempt your palate with a Top of the Falls dining experience with menu items like a Bistro Burger, a Cilantro-Lime Chicken Sandwich or a Chilled Asian Noodle Salad. And if you still have room for dessert, you can indulge in a rich piece of chocolate cake or cheesecake. Operates seasonally. Open May through Columbus Day weekend. Hours vary depending on season, call for availability and reservations.